The AU High-level Implementation Panel (AUHIP) has invited leaders of the Sudanese opposition for a meeting in Addis Ababa coming Friday and Saturday. 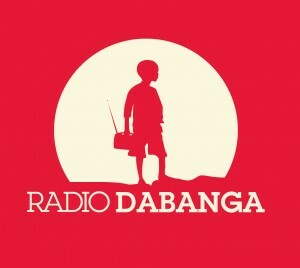 Yasir Arman, secretary-general of the Sudan People's Liberation Movement-North (SPLM-N) and Foreign Relations secretary of the Sudan Revolutionary Front (SRF) rebel alliance, told Radio Dabanga that AUHIP chairman Thabo Mbeki invited 15 members of the Sudan Appeal signatories to discuss their stance on a comprehensive solution for the Sudanese crises. Leaders of the SRF, the National Umma Party, the National Consensus Forces (NCF, a coalition of opposition parties), and the Civil Society Initiative (CSI) signed the Sudan Appeal in Addis Ababa on 3 December last year. In the two-page communiqué, they call for the ending of the civil wars in the country, the dismantling of the one-party system, and the rebuilding of Sudan based on democratic principles and equal citizenship. The signatories agree that if a peaceful regime change cannot be achieved by a broad national dialogue, it should be enforced by a popular uprising. Arman said that the Sudan Appeal forces are willing to negotiate a comprehensive peace, but regretted “the absence of a party in Khartoum to engage in dialogue with. He stated that the opposition leaders will emphasise to Mbeki that their position remains unchanged, regarding the need for a comprehensive solution, the stop of the wars, the unconstrained delivery of humanitarian aid to the affected people, and the rebuilding of Sudan based on democracy and equal citizenship. Earlier this year, the AUHIP chairman attempted to break the deadlock over the negotiations between Khartoum and the Sudanese rebel movements government by inviting them to Addis Ababa on 29 March, to discuss the Sudan Appeal forcesandnbsp;proposal to merge the peace negotiations on Darfur and the Two Areas (South Kordofan and the Blue Nile) with a broad national dialogue. The NCP declined to attend at the last moment. Mbeki visited Khartoum early last week to discuss theandnbsp;proposal. The government however adhered to its rejection of the merger as well as to hold the dialogue abroad. He said during a press conference on Tuesday that the government is willing to agree on a ceasefire for the Two Areas. As for Darfur, Khartoum keeps to its stance that the remaining rebel movements should join the 2011 Doha Document for Peace in Darfur (DDPD). The three leaders of the main Darfur rebel movements,andnbsp;Abdelwahid El Nur, of the mainstream Sudan Liberation Movement (SLM-AW), Dr Jibril Ibrahim, of the Justice and Equality Movement (JEM), and Minni Minawi, of the SLM-MM, met withandnbsp;Abiodun Bashua, acting headandnbsp;of Unamid in Paris on Friday and Saturday. In theirandnbsp;statement released today by Unamid, theyandnbsp;say that they will to work together for a viable and lasting peace agreement in the war-torn western region of Sudan. Theyandnbsp;agreed with Bashua to provide a common position paper and proposals on “substantive issues for discussion” and to suggest a format for the “resumed political process”. 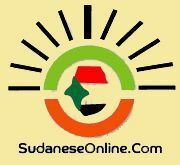 Bashua is expected to also consult with the Sudanese government, AUHIP)andnbsp;and negotiators in Qatar that is sponsoring the Doha peace agreement.andnbsp;Informed sources toldandnbsp;Sudan Tribuneandnbsp;on Saturday that some of the rebel leaders reiterated their reserves over the DDPD, but welcomed the Qatari participation in the process. Unamid assumed the mediation with the non-signatory Darfuri rebel movements after they refused to join the DDPD . Last year however, after consultations with the Sudan Revolutionary Front (SRF, the AUHIP, brokering the peace talks on the Two Areas (South Kordofan and the Blue Nile) between Khartoum and the Sudan People's Liberation Movement-North (SPLM-N), AUHIP sought to include the Darfur issue in a comprehensive peace process.